I was curious, after getting these versions of the Jedi, what did you do with the TPM/AOTC ones we got? The way my display space is set up, my basic figures are basically in two glass cabinets...one for PT, one for OT. I don't know if this will always work, but for now that is how they are set up. Aside from the ROTS shelf, and having "main" Jedi like Qui-Gon and Obi-Wan displayed with their respective movies, I have all of my Jedi figures (including Jedi Council sets) on a shelf of their own. A "Jedi" shelf. After getting a few more figures the last couple of months, space is running thin in the prequel cabinet, so I've been thinking about packing up the "doubles" of Jedi from past movies, and just replacing them with the ROTS versions. Have any of you packed any of these away, or any other figures for that matter, if you have newer, better versions of them? I felt dismal in 2002 when all figures were basically little PVC one-pose-wonders. The extreme poses and expressions just ruined the line for me while they were the standard. I don't know who thought that was the route to go, but if people wanted statues they'd not be buying action figures. The line in 2002 suffered too and Star Wars had dismal sales compared to projections. It was counted on to carry Hasbro in movie years and when it becomes a burden with buy-backs and whatnot, then there's a problem. The figures were outstanding last year for the most part. Some duds leaked out, mostly towards the latter waves (Captain Antilles for instance), but figures like Ki-Adi Mundi are among my favorites in the modern line and will remain so. Agen Kolar is practically perfect... The girls had some limited bits here and there (Shaak's one arm is static for instance) but she's still neutral enough and pretty heavily articulated. I don't think there's a Jedi figure save for the main ones that disappointed me. That said, Mace Windu, the early Obi's, and Ani's were a letdown. This line longs for a SA Mace Windu, seriously. 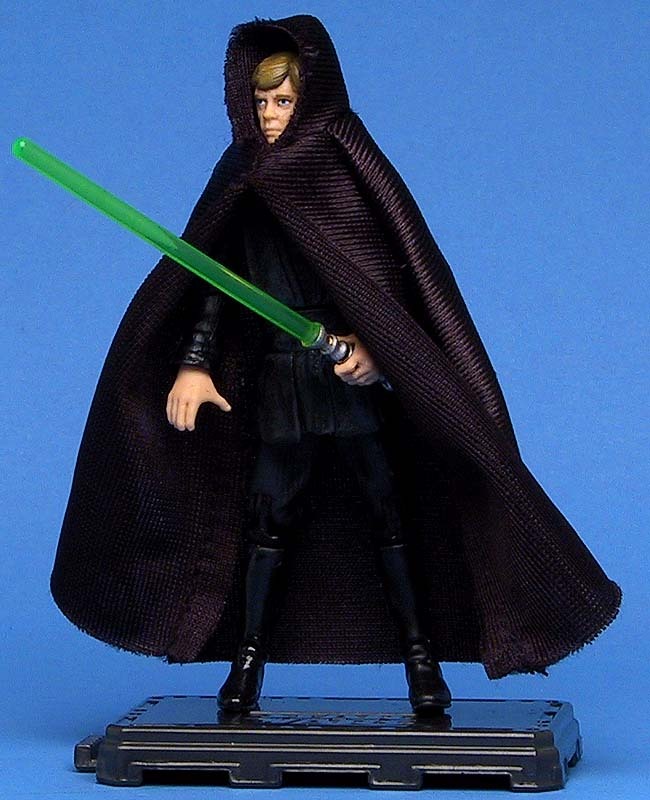 If the Evolutions series had continued I wanted a Jedi assortment that included Mace as the Master, QGJ as the Jedi Knight, and an E1 Obi-Wan as the Padawan or some similar arrangement... Mace deserves SA with one of the sweet Evolutions Anakin Robes. For that matter, we still don't have a single decent prequal Yoda for all seasons. The one they're re-releasing in the Heroes/Villains Wave is ok but the robe blows. Put a cloth robe on that Yoda, throw in a cane... I'm nearly happy with it. I for some reason just enjoy that figure aside from the horrible robe. I couldn't agree more with your Evolutions Jedi pack idea Jesse. Its obvious we need a Mace Windu done up to that quality, and an all-new sculpted, SA Qui-Gon Jinn is on my wish list as well. I think Qui-Gon is actually one of my favorite characters from the prequels, and although he was only in one movie, I think he's deserving of an all-new figure. 'Ultimate' versions of Mace, Qui-Gon, and both EP1 and EP2 Obis are really, really high on my list. I think you can include Yoda, too. There really isn't an all around great PT Yoda. I always liked the AOTC Jedi statues. I wanted the versions we later got, but I loved Luminara when I first saw her. They do compliment each other very well now. I just dont understand why we got such porr main character Jedi and the rest were practically "perfect". I'm pretty happy with ROTS Obi-Wan... I'm happy with Evo Anakin too other than there's no really good one with Sith Eyes (perfect opportunity to re-release the Evo one, eh? ), and the overall lack of availability on the Evolutions sets is a major detractor... A good Anakin wasn't real easy to find. The PIlot Obi-Wan was perfect. Another re-release of Pilot Obi and Evolution Ani I'd buy is Mustar Duel versions. All the burn damage on the duds, and I'd gladly rebuy these two figures, hands down. I think MetalJedi's point was more towards Mace Windu being snubbed (yet again) to get a decent figure, and Yoda as well. If you go further back too, AOTC needs good incarnations of its main Jedi, save perhaps Anakin, and so does E1... A lot of good prequal ground for Hasbro to cover if they want to give "ultimate" versions of the main Jedi from each film. Swivel elbows, funny lookin' knee joints, right hand doesn't hold a saber. Great head sculpt, but the body needs updating. I'd like to see him with the vest off, too, as in the duel scene. It's not a bad figure, it just has flaws and when compared with ROTS figures, it can be updated. What I'd do is give a softgoods gauze-ish type material for the vest with like an elastic band sewin in the waist part. You could remove it and have Luke as he appeared when he left Endor... It'd be cool if they could figure out a heat/cold decal to put on his chest that shows the open grey flap of his shirt too. Like you put cold on it and it shows grey for Death Star dueling. If there could be one figure that I had the power to make, it would be an abosultely perfect DS2 Luke, none of this willrow or yarna crap!